[WARNING: Unlike regular episodes of Unlocked, this episode contains explicit language!] Continuing the tradition started last year, we're giving you an episode full of 2015's Unlocked outtakes while the Xbox world rests for the holidays. These outtakes span the entire year, will in some cases make absolutely no sense without any context, and you might think this episode is pointless and/or totally dumb. But you might also think it's hilarious. Let us know, and Happy Holidays! We'll be back with regular episodes of Unlocked starting January 6! We discuss Metal Gear creator Hideo Kojima's decision to sign with Sony for his next game, and whether or not Microsoft pursued the big-name free agent. Plus: we debate what Gearbox's new Quebec studio might be working on, what EA's commitment to eSports means for the industry, and more. Also, don't miss the end of the show this week, as an Unlock Block Trivia champion for 2015 is crowned in a shocking finale. We review the Xbox-related announcements at last week's Game Awards. Plus: we attended PSX, and we discuss what Microsoft can learn from Sony's fan-service event. Also: we predict what Bethesda's new Montreal office might get up to, Gone Home is finally about to arrive home on Xbox, the Unlock Block Trivia challenge's quest for the Duke-y trophy gets super tense this week. Can Mitch clinch the trophy? We discuss our thoughts on Rainbow Six Siege, our Xbox expectations for The Game Awards, what we'd like to see from PlatinumGames's Teenage Mutant Ninja Turtles Game, what DC Comics superhero games Batman: Arkham Origins developer WB Games Montreal might be making, and more. Plus: we attempt to design a good Superman game. As you might expect, it doesn't go well. Halo 5: Guardians is finally here, and we have very strong – and in some cases unexpected – reactions to it. We spend the first 1:11:00 of the show in full spoiler mode, discussing the good, the bad, and the ugly of Halo 5. So if you haven't finished the Halo 5 campaign yet or otherwise don't want to hear Halo 5 spoilers, skip ahead to 1:11:00. In other news, we discuss the just-announced release date for the New Xbox One Experience Dashboard and Xbox 360 backwards compatibility, some good news for Rock Band fans, and more! On this week's Xbox show, Capybara Games co-founder Nathan Vella (creator of Super Time Force and Below, among others) sits in on the whole show. He updates us on the Xbox One-exclusive below, shares Xbox development insights, talks Back to the Future Day with us, September NPD sales numbers, EA vs. Square Enix on remasters, and more. Plus: your chance to win a Halo 5 prize pack including a copy of the game and an Astro A40 Halo headset! Podcast Unlocked Episode 216: How Will Xbox Counter PS4's Price Drop? We wonder what, if anything, Microsoft will do to counter Sony's PS4 price drop. Also, our thoughts on Star Wars Battlefront and how it will sell this holiday. Plus: more Season Passes that tick us off, Halo 5 news, miscellaneous (bad) news, and your chance to win a Forza Motorsport 6 Xbox One console bundle! Podcast Unlocked Episode 215: Burnout Is Back! We celebrate news that the creators of Burnout are bringing the series back (albeit under a new name), rejoice at the Stone Age setting of the just-announced Far Cry Primal, calculate the crazy value proposition of the Fallout 4 Xbox One bundle, take credit (not really) for making the icky Deus Ex: Mankind Divided pre-order campaign go away, check Destin into a rehab facility for his Destiny problem (also not really), and more! Discussed this week: Splosion Man developer Twisted Pixel pulls a Bungie and spins back out from Microsoft, single-player campaigns in first-person shooters seem to be an endangered species, Xbox One holiday bundles are in full bloom, Hitman course-corrects its unsettling pricing model, Telltale's Back to the Future heads to Xbox One, U2 heads to Rock Band 4, and more! Head of Xbox Phil Spencer joins our show this week for a conversation about all kinds of happenings in the world of Xbox, from Final Fantasy XIV's absence on Xbox One to whether or not existing Xbox One owners should upgrade to the upcoming Elite console to whether or not he thinks the "killer app" is dead, and much more! Plus: we discuss the Hitman delay, among other timely topics. Podcast Unlocked Episode 212: How Much Content Is Enough for $60? On this week's Xbox show, Rainbow Six Siege's map count leads us to wonder how it'll be received. Plus: Fallout 4's season pass annoys us, Star Wars Battlefront gets a mini-fridge, we're excited for the imminent New Xbox One Experience Dashboard, Xbox One gets two new games in a genre it sorely needs them in, and more! Also: after we recorded, Ubisoft issued a correction to their developer who was quoted as saying Rainbow Six Siege will ship with 10 maps. It will actually be 11. We make an otherwise slow Xbox news week interesting by discussing notable 9/9 gaming birthdays, discuss former Xbox boss Robbie Bach's comments on how an 'Xboy' handheld almost came to exist, analyze what we learned about Destiny thanks to a court decision involving a former longtime Bungie employee, and give our ideas for what rides we think should be at Ubisoft's planned real-life theme park in Malaysia. Microsoft's newest Xbox One console bundle is extra special because it includes the hot new Elite gamepad as well as a 1TB SSHD hard drive. We break down the benefits you can expect as well as whether or not it might be worth upgrading to. Plus: we analyze Halo 5's newly released opening cinematic, take a guess at the real reason DICE is doing a Star Wars Battlefront beta, dry heave at Square Enix's pre-order incentives for Deus Ex: Mankind Divided, and...oh yeah, we give away a custom Gears of War-painted Xbox One console too. Podcast Unlocked Episode 209: Should Master Chief Be Unmasked? Mitch and Ryan shake and bake their way through this week's Xbox show, tackling, among other questions: Will we ever see Master Chief's face? What are the odds of Xbox One actually getting original Xbox backwards compatibility functionality? Should you take Just Cause 3's $50,000 cash prize, or the mysterious actual real-life island they're offering? And much more! Polite College Duke Nukem stops by as well! This week's Xbox show analyzes Rainbow Six Siege's daring delay and what it means for the franchise this year and in the longer term. Plus: we express sadness (but not anger) regarding the absence of Big Team Battle from Halo 5's launch, theorize what Gearbox might do with Duke Nukem now that their IP ownership lawsuit is settled, discuss Forza 6's new "mods," and more! This week's Xbox show recaps Gamescom from the IGN guys who were there, explains why the Halo 5 console bundle might not be such a good deal, details how the Halo TV show isn't dead, laments Capcom's remakes/remasters-or-bust strategy, and more! Microsoft is set to have a big presence at Gamescom. So, we play our ol' predictions game, making 12 Xbox predictions for what we think might happen. Plus: Tomb Raider's exclusivity is dated, 343 explains the lack of any split-screen multiplayer support in Halo 5, Windows 10 begins rolling out to change the Xbox ecosystem forever, and much more. As news of a new Brothers in Arms game starting development surfaces, we revisit the smart, stellar, historically-based first-person shooter/strategy series and why we'd be excited for it to return – as well as if it could help bring WWII shooters back in general. Plus: all of Sony's marketing dollars still won't let you play Star Wars Battlefront on PS4 first, Xbox One gets another clever bundle, and much more! Special guest star Jared Petty joins the Unlocked crew this week. With the year half over, it's time to give our picks for our Xbox Games of the Year...so far. Plus: the latest chapter in the Hideo Kojima/Konami divorce is as wacky as ever. We wonder if there will even be another AAA Metal Gear game, and who might do it. Also, Dead Island 2 has lost its developer, so we debate who might pick up the ball on that and run it into the end zone. Furthermore, two $200 special editions of upcoming big games generate wildly different reactions from us, and finally, don't miss the debut of the real-life Dukey trophy! Podcast Unlocked Episode 202: What if Microsoft Bought AMD? It's impossible to follow the once-in-a-lifetime episode 201, but we do our best by dissecting a rumor that suggests Microsoft may be looking to buy Xbox One and PS4 chipmaker AMD. What would it mean for the current consoles? How about the Xbox 4 and PlayStation 5? We discuss it in detail. Plus: we lament some of the E3 Game Critics Award winners and give our take on the first trailer for Telltale's Minecraft: Story Mode. In light of the big Halo 5 campaign details and multiplayer bomb dropped by 343 Industries, we spend a good chunk of the show getting SUPER EXCITED for Halo 5. Plus: reactions to the 1TB Xbox One announcement, a talk about how Forza is a victim of its own success, why we love Mirror's Edge Catalyst's new title, and much more. And, yes, there's another In-N-Out bet made over Games With Gold and, specifically, PoolNation FX. You know what we're talking about this week: Fallout 4. Join us for a 26-minute reaction segment to the announcement and the trailer. We discuss what gameplay elements the trailer suggests, why we think we're going to get a very long demo at E3, when we think the game is coming out, and more. Plus: what the Gears of War developer's studio rebranding means for the series, why the Rise of the Tomb Raider teaser trailer bugged us, details on the big Unlocked 200 celebration, and so much more! It's a 90-minute epic episode of Podcast Unlocked! The weekend gave us not one but two Halo 5: Guardians trailers, and you needed to see both of them in order for your mind to be fully and properly blown. We dissect what each trailer's version of the truth means, and we talk at length about Halo 5's surprising October release date – including what it means for the rest of Microsoft's holiday Xbox One lineup. Plus: a nugget of Gears of War 4 news to chew on, a couple of April Xbox One system update features we really like, and more! Noted Metal Gear fan Max Scoville joins Podcast Unlocked this week to discuss the whole (alleged) Kojima/Konami fiasco. And we have what may be an unpopular opinion about the entire thing. Plus: why the hell is there a Russia-only Halo Online game for PC? Will the next Xbox hit in 3-4 years instead of 7-8? What's the deal with Conker in Project Spark? Also: Shark Finnegan explains how to get thrown out of a Denny's. Now that Titanfall 2 is a real, confirmed thing, we've got some ideas as to what it needs. In fact, we all agree on what that is. Meanwhile, we give a refresher course on the long-dormant Homefront: The Revolution now that it's been officially delayed to 2016. Plus: another hilarious round or marketing-spun NPD results, Rory McIlroy Highlander-kills Tiger Woods, and more. Also be sure to watch the full video episode of the podcast on the IGN Xbox One app if you haven't tried it! A discussion about our early Ori and the Blind Forest impressions turns into an impromptu chat about our most emotional gaming (and movie) moments. Plus: we have a theory on the timing of this week's Halo: The Master Chief Collection Xbox One bundle, another theory about how Kudo Tsunoda's promotion proves last week's Phil Harrison rumors, why Quantum Break would be better off releasing in 2016 regardless of the validity of this week's rumors, and more! Plus: a very personal, 40-minute interview with Adr1ft creator Adam Orth. He discusses how his personal life is reflected in the new game, what his life was like during the #DealWithIt controversy, and more. Podcast Unlocked 185: What Is Battletoads Going to Be on Xbox One? What a packed show! Chris Charla, the head of Microsoft's ID@Xbox program, stops by for a chat about choosing indie games for the program, how crazy (in a good way) Cuphead is, and more. Then we talk about Phil Spencer's latest Battletoads tease, freak out because Rock Band 4 is a real thing, discuss our experience playing one of GTA Online's Heists, and much, much more. On this week's IGN Xbox podcast, we discuss running out of Xbox One hard drive and what decisions go into choosing an external hard drive to buy. Plus, rumors suggest that both Rock Band and Guitar Hero may be returning for the new consoles (and why we're FREAKING OUT), Microsoft makes a genius move to partner Forza with Fast and Furious, Batman: Arkham Knight's 'M' rating, why MMOs are finally hitting Xbox consoles, and much more! 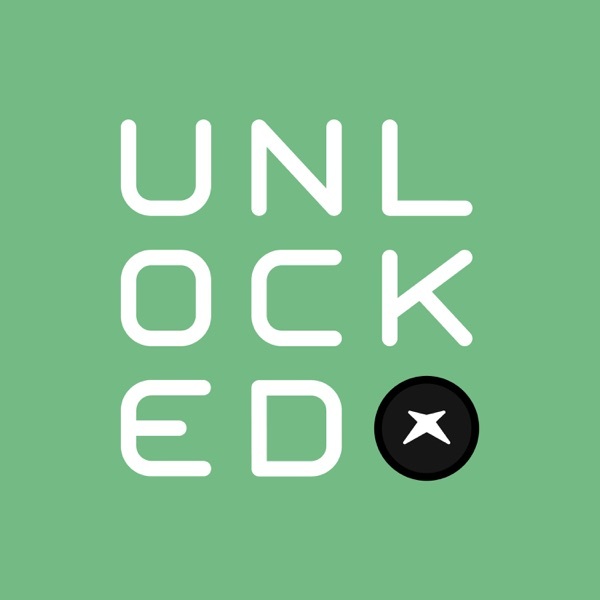 This week's episode of Podcast Unlocked is packed! We predict what Bethesda will announce at their first-ever E3 press conference in June, including Fallout 4. Plus: reacting to Phantom Dust's developer shift, lamenting Shadow Realms' cancellation and what it means for 4v1 games, making our picks from the ongoing Xbox Ultimate Game Sale, and remembering Super Mario Bros. 3 and how it changed our lives as we note its 25th (USA) anniversary. Halo 5 dominates our show this week, as not only do we talk to 343 Industries Halo 5 Studio Head Josh Holmes and Multiplayer Designer Quinn DelHoyo about what they learned from the now-completed Halo 5: Guardians multiplayer beta (skip to 1:02:57 for that), we also discuss all the changes made as a result of player feedback. Plus, a release date for the Halo 5 art book suggests that Halo 5 might not ship in November as we've all been expecting. We discuss why that might make a ton of sense. Oh, and get our thoughts on Evolve, hear some of the best 2015 Xbox predictions we got from you guys, and learn what's going into the February Xbox One system update. Four editors. Three predictions each. That means we've got 12 Xbox predictions for 2015 that you can hold us to come Christmas-time. Plus, we can bet on them! Which of us is Nostradamus (probably none of us), and which of us is Nostra-dumb-us (probably all of us)? Plus: A few Sony games look like they're on their way to Xbox, Condemned 3 might happen, Grand Theft Auto V's sales numbers continue to astound us, Dying Light isn't being ignored (yay! ), and more. Podcast Unlocked Episode 180: Is the Xbox 360 Dead? The Xbox's sales are down year over year for the fourth quarter, largely due to dwindling Xbox 360 sales. So it's time to wonder: is the old console toast? Also, IGN tech editor Alaina Yee joins us to share her first-hand, behind-the-scenes account of the Windows 10/HoloLens event she attended last week at Microsoft Campus. Plus: EA makes bank, the Xbox One's controller gets a firmware update, and we give you an In-N-Out Burger history lesson you absolutely didn't ask for. Packed show! We distill the Windows 10 event down to what it means for Xbox, including the HoloLens AR glasses that may sound familiar if you remember "Fortaleza" from the big Xbox One leak in 2012. Plus: we reflect on the Halo 5 beta, the Xbox One goes back to $349...again, and Undead Labs CEO Jeff Strain sits in for an epic 50-minute interview that covers his fascinating past working at Blizzard, his present-day State of Decay success, and his online future. IGN's Game of the Year has been announced. We discuss how we cast our individual votes. Plus: a big MOBA hits Xbox One, Forza Motorsport 6 gets announced...in Detroit, Microsoft may be bringing back a "beloved" strategy game, Xbox One wins an Emmy(?! ), and more! Podcast Unlocked Episode 177: Let's Buy the Blinx Trademark! As Microsoft abandons their trademark on show favorite Blinx: The Timesweeper, we discuss what we'd do with it if we bought it (which we might). Plus: what does the Xbox One going back up to $400 mean for 2015? Will Xbox Avatars ever matter on Xbox One? Will Far Cry 5 pit you against...vampires? And what will Xbox One developers do with more power thanks to the newest XDK tools? Oh, and we give a warm Podcast Unlocked welcome to new IGN host Max Scoville. Say hi, won't you? Thanks to Walter Hill (@walt_disknee) for the new outro music for 2015, and Ryan Quintal for the new logo! E3 is over and we have a ton to talk about, so buckle up as your Locksmiths Ryan McCaffrey, Mitch Dyer, and Destin Legarie go over Titanfall, Killer Instinct, Ryse, Halo 5, Quantum Break, Dead Rising 3, and more Xbox One and Xbox 360 games. Podcast Unlocked Ep. 094: "Air Quotes"
With Ryan out, Mitch Dyer and Destin Legarie recruit Rich George and Marty Sliva for an off-the-rails (and spoiler-free) discussion of BioShock Infinite. From there, the Locksmiths hit on Battlefield 4's disappointing reveal, the magic of Fables (and Telltale's potential in the upcoming Wolf Among Us game adaptation) and the future of Far Cry. The locksmiths discuss Game of the Year, Alan Wake and their holiday gaming plans. The locksmiths tackle the VGAs, RAAM's Shadow, Joe Danger and more. The locksmiths talk about the new Dashboard update, a Skyrim movie, and more. The locksmiths tackle Batman: Arkham City, Rocksmith, Battlefield 3, and more. What lies in store for Master Chief? And does he need any bacon? Do you have Augment Fever? Our Deus Ex show is perfect for you. Podcast Unlocked Ep. 22: Gamescom! The latest Gamescom news, Gears of War 3, and Renegade Ops. We duke it out over the top 25 retail Xbox 360 games. The IGN Locksmiths talk Horde Mode 2.0. The Locksmiths answer your 360 questions with gusto. Nightmare sheep and the world of Bastion -- it's all here. Find out what's hot on XBLA. The Locksmiths tackle Gears of War 3 leaks and Agarest War Zero. We talk Dirt 3 and give away Vanquish. Multiplayer firefights or stylish crime solving? Decisions. We talk about Black Ops DLC, Moon Diver, and more. An extended chat about Valve's mind-bending puzzle game. Fatalities, portals, and answering your burning questions. New details on Shepard's mission and Capcom's latest games. We answer your questions and give away free Swarm codes. Spacefaring commanders and augmented super agents? Yes please.